Pradhan Mantri Awas Yojana has already been declared by the PM Narendra Modi in the year 2015. The project has already been started in several parts of the nation as well. It is high time when people can easily apply for the loan under PMAY project to get their dream houses. 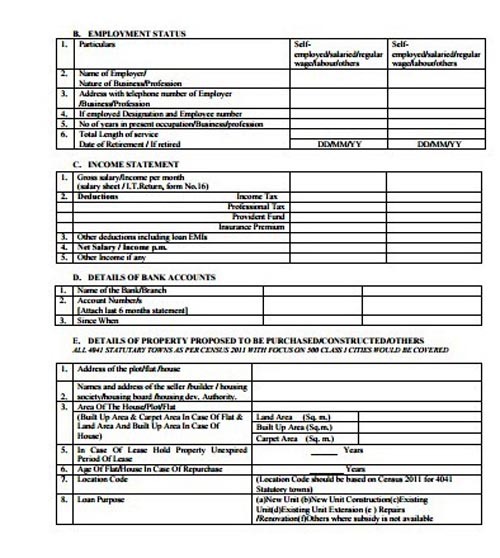 All the national banks and some of the private banks like Axis and ICICI are giving away the loan application forms to apply for the home loan under PMAY. According to the PMAY guidelines all the nationalized banks are eligible to give away the home loan under PMAY scheme. However all the branches from the same banks are not eligible to sanction the loan amount, it is recommended to confirm about it before you opt for loan from your branch. Obviously the rules for taking loan from different banks are different. 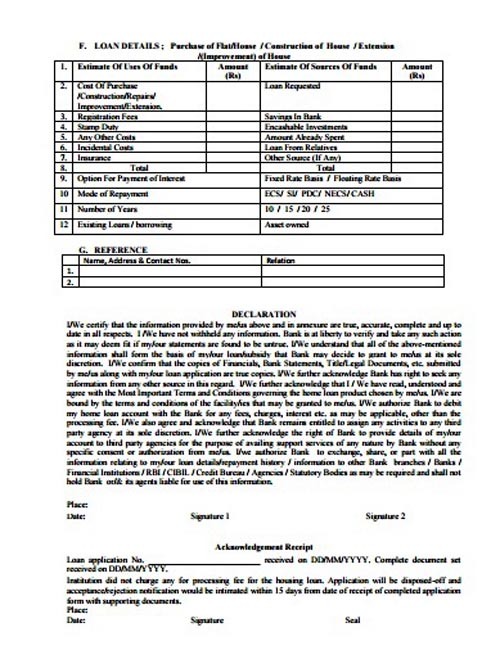 As for example here is the link for application loan in Bank of India.Also along with the duly filled application form one needs to produce a declaration form to apply for the loan from Bank of India. To know about the declaration and loan application of your bank you can visit your branch and enquire about it. 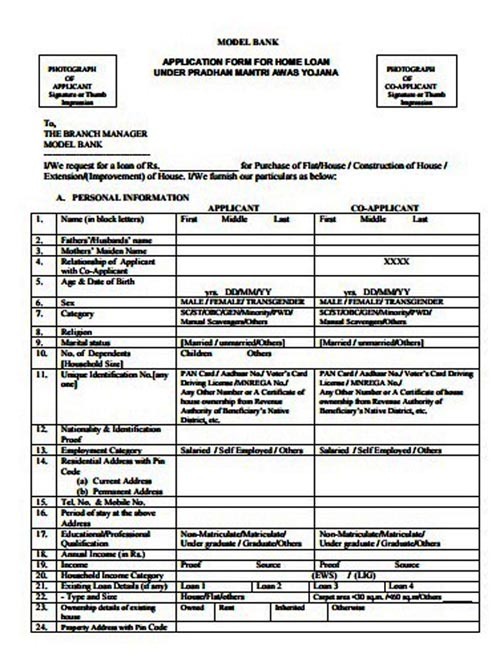 If you wish you can download the model application form for the PMAY home loan. It is available in the official website of Indian Banks’ Association. If you want to apply online for Pradhan Mantri’s Awas Yojana then please ensure that you have checked with the below points for eligibility criteria. In case you want to get registered for this scheme then you have the convenience of checking your name in the list of beneficiaries prepared on PMAY beneficiary list. To get registered for the online application process it is important that you may have to provide with your Aadhar card details. As the process of registering for application form is performed online so you also need to have an uninterrupted internet connection. It is also mandatory that the applicant should have a valid savings account with nationalized bank. At the time of registration you may have to provide with your income details. The process of registration online can be done via official website on pmaymis.gov.in. After you log on to this site you have to click on the “Citizen Assessment” option under the Pradhan Mantri Awas Yojana form. In case you are presently residing in slums then you have to click “For slum dwellers” option, or else click on “Benefits under 3 components” option. The moment you land on second page you can check in the provided space for your Aadhar card number. Once entered your number you have to click on the “Check” option. If you have entered your valid Aadhar card number then you will be redirected to a new page. In case you made a mistake in entering your Aadhar card number then you will have to re-enter the number again. It is only possible to register for PMAY if your Aadhar card number is valid. On the web page opened you have to fill in all details. It is important to fill the correct details as each detail is mandatory for verifying address, bank and Aadhar number for your residence and income details. Before saving the details you may have to verify that all information provided is correct to your knowledge option. The moment you have completed the procedure of saving the application form then the system shall also provide you with an automated application number. You can save this as a hard or soft copy with you for later verification. Once the process has been completed you can also check with the processing status of your application form on the official website pmaymis.gov.in. As the whole process of registering is done in the online world so you can always take a printout of the Application form. To do this you may have to enter your details providing Candidates name, father’s name and the application number given. You can also click the link below via mouse and print the application form printout. As it is automated and computerized process of registration so it is possible for you to make changes and corrections any time after submission. To edit the application form you may have to provide with details of your application and Aadhar card number. This facility is for people who may have made wrong entries at the time of filling in the application forms. To make necessary amendments in the form you can also follow the Link Below. Notification:- The Ministry for Housing development and Urban Poverty Alleviation are providing with the facilities for filling in PMAY Application forms. The state and urban government are responsible for taking the final decision for completing the selection of candidate procedure. as above subject i have taken loan for taking flat on 22/12/2015 .The loan has been sanction 1550000. but due lack of information and publicity of pmay .i have taken the flat only on my name not on both me and my wife.so the bankers has rejected my file of pmay subsidy. This my first property.so kindly help me sir to get subsidy. may name is sanjay kumar from varanasi. ?